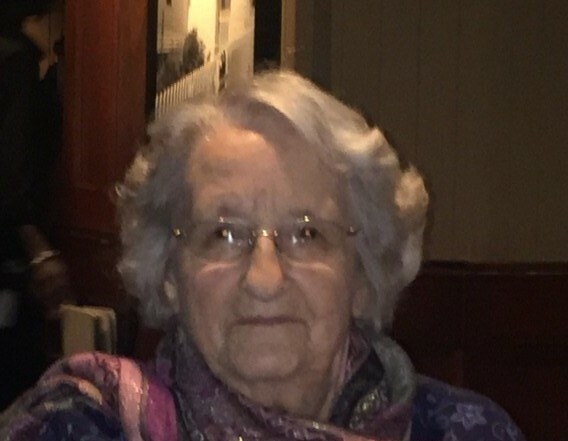 Mrs. Louise Hargrove, age 95, of Chapel Hill, TN, died Monday, March 18, 2019 in Lewisburg, TN. She was a native of Chapel Hill, TN, and a daughter of the late John Porter and Lela Mai Newcomb Ragsdale. Mrs. Hargrove was a member of Smyrna Baptist Church. She was not just a homemaker, but she loved to cook, pressure can food, and tend to flowers. In addition to her parents, she was preceded in death by her husband, Henry Lee Hargrove, Sr., sons, Terry Hargrove and Billy Hargrove, sister, Maggie Smotherman, and her brothers, Clyde, Bill, J.L., Leon “Tom”, and James Ragsdale. Mrs. Hargrove is survived by her son, Henry Lee (Sandra) Hargrove, Jr. of the Wheel Community; her daughter-in-law, Wanda Hargrove of Chapel Hill, TN; sister, Lavern Ragsdale of Lewisburg, TN; brothers, Bobby Ragsdale of Lewisburg, TN and Herman Ragsdale of the Laws Hill Community; 8 grandchildren, Melissa Perryman, Melinda Hargrove, Kathy Curtis, Sam Jones, Tad Hargrove, Tye Hargrove, Lisa Hobbs, and Laura Gordon; 17 great grandchildren; 23 great great grandchildren; and special friend, Ashley Shott. Visitation with the family will be on Friday, March 22, 2019 from 4 PM until 8 PM at Lawrence Funeral Home. Funeral services will be conducted at 11:00 AM on Saturday, March 23, 2019 from the Chapel of Lawrence Funeral Home with Rev. Tim McGehee and Rev. Larry Chatman officiating. Interment will follow in Swanson Cemetery in Chapel Hill, TN. Lonnie Perryman, Caleb Perryman, Billy Forrest Perryman, Tad Hargrove, Brandon Hargrove, Tye Hargrove, Blayze Hargrove, Sam Jones, Joshua Floyd, Tyler Rich, Larry Curtis, and Sean Deckert will serve as pallbearers.